Assessors are able to view Tables of Contents that are associated with departments with which the Assessor has membership. 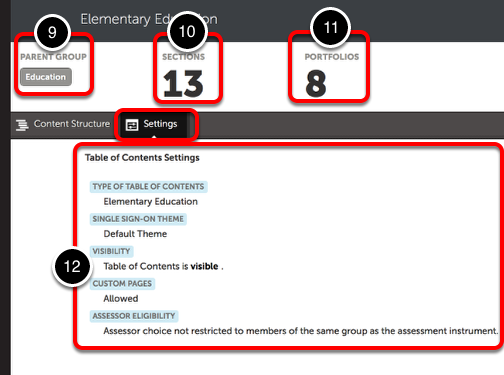 Viewing a Table of Contents provides insight for how a student will view and interact with it in a portfolio setting. 4. 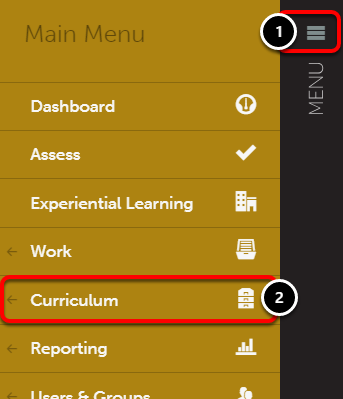 Locate the Table of Contents that you would like to view and click anywhere in the row for that item, to select View. 5. View the Table of Contents Sections. You are able to navigate through the various sections to reveal their contents and linkages. 6. View the Section Description. 7. View the Frames on this Section. 8. 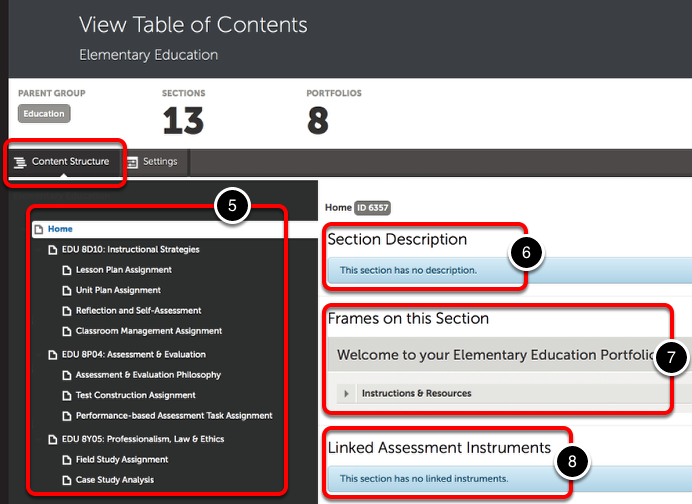 View Linked Assessment Instruments. 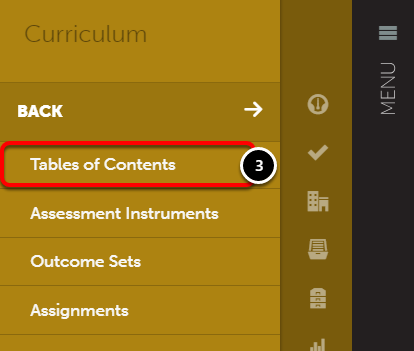 Next, you can view the Table of Contents Settings. 9. The Table of Contents' Parent Group. 10. The number of Sections contained within the Table of Contents. 11. 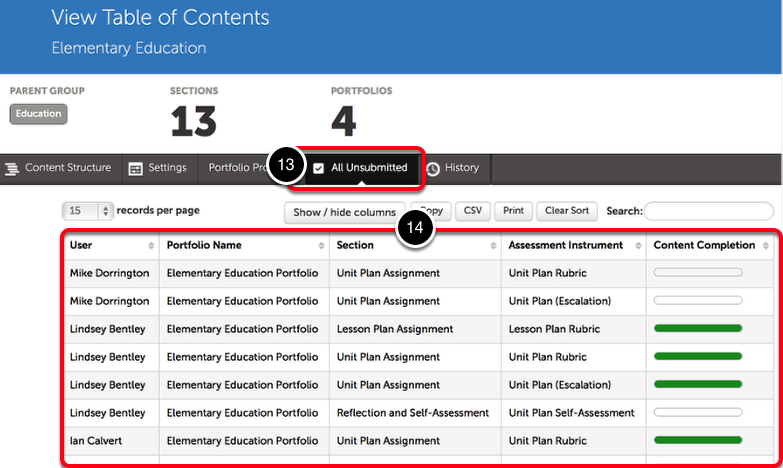 How many Portfolios have been created using the Table of Contents. 12. General information about the Portfolio Settings. 13. Click on the All Unsubmitted tab. 14. A table will appear with a list of all portfolio page instances by student that have not yet been submitted. In the Content Completion column, you can see whether or not work has begun on the portfolio page.